Quintus Marcius Philippus convinces Perseus to send one final diplomatic mission to Rome; his action buys the Romans more time to prepare for war. An event of constitutional significance this year was the election, for the first time in Roman history, of two plebeian consuls. Their names were Gaius Popilius Laenas and Publius Aelius Ligus and their election set an important precedent. Since 367 BCE, one of the consuls had to be a plebeian and both could be from this class, but the Romans were traditionalists and stuck to one patrician consul and one plebeian each year for another 195 years. Gaius Popilius Laenas was not just any plebeian, he happened to the brother of Marcus Popilius Laenas, the consul of 173 BCE who had gotten himself into trouble because of his harsh treatment of the defeated Statellati in Liguria. This trouble would continue this year and also burden his brother Gaius’ consulship. The year 172 BCE furthermore saw the Senate deciding to go to war with King Perseus of Macedonia. The Romans also engaged in frantic diplomatic activity both in Rome and in the Greek world. Now that a new war with Macedonia was unavoidable, the Romans wanted to be assured of the loyalty of their Greek allies. One of these allies was King Ariarathes IV of Cappadocia, who sent his youngest son to Rome to receive an education there. One of last year’s consuls, Lucius Postumius Albinus, had by now completed his mission in Campania. 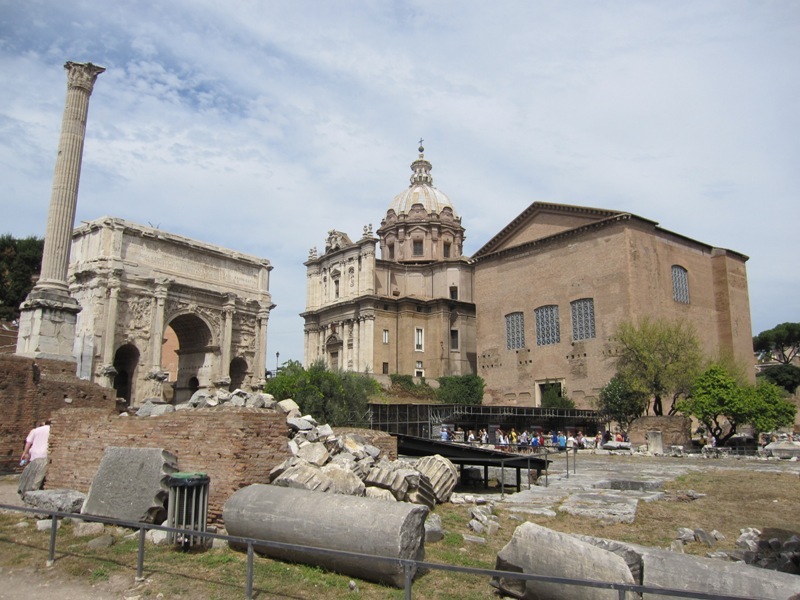 He had reclaimed state-owned land (ager publicus) near Capua which had been occupied illegally by private individuals who owned the adjacent estates. 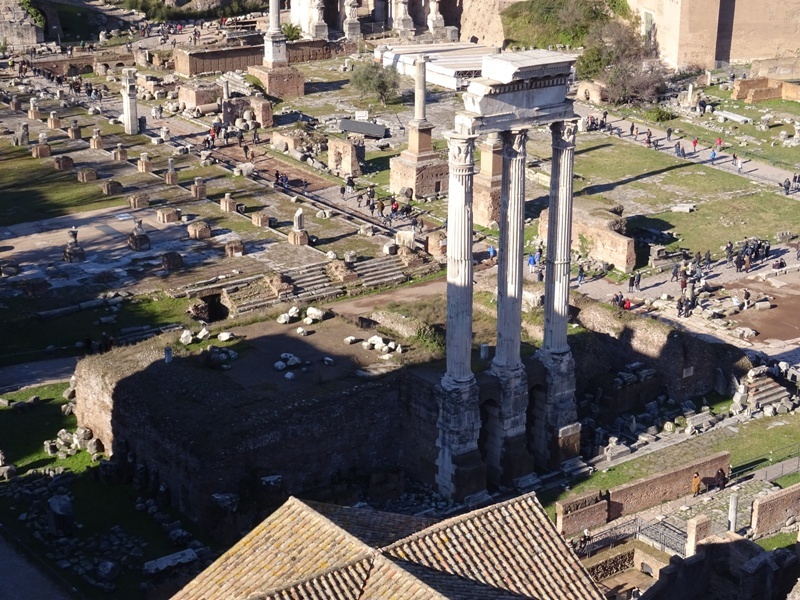 The former consul’s mission reminded the Roman authorities that something needed to be done with this land, which had been in possession of the state since 211 BCE. The tribune Marcus Lucretius introduced a bill to the popular assembly that mandated the censors to lease these lands to citizens for cultivation (in Latin: agrum fruendum locare). The other consul of 173 BCE, Marcus Popilius Laenas, had returned to Liguria in anger. Instead of doing his utmost to free the Ligurians he had enslaved and sold, he actually fought a new war against the Statellati, killing scores of them. These actions were not just cruel, they also led to large uprising among the Ligurians. The Senate was furious when it received a letter from Laenas in which he boasted about his successes. The senators were furthermore angry with Gaius Popilius Laenas, the current consul and Marcus Laenas’ brother. He was clearly using his office to protect the interests of his brother. The consul had even threatened to veto (or perhaps rather: undo) all of his colleague Aelius’ decisions if the latter raised the Ligurian matter in the Senate. The consuls had asked for Macedonia as their new province, but the Senate refused to speak about it unless the case of Marcus Laenas had been discussed first. The consuls were given Liguria instead. A request to raise new legions was denied by the Senate, and as a result the consuls had actively delayed their departure to their province. The Temple of Castor and Pollux; the space in front of the temple was often used for assemblies of the tribes. Two people’s tribunes, both named Marcius, now threatened to impose a fine on the consuls if they did not depart immediately. They also consulted the Senate about a bill they had drafted. It stipulated that if the Statellati who had surrendered were not released before 1 August, the Senate should appoint a magistrate to investigate the matter further. The bill was passed unanimously by the popular assembly and the Senate nominated the praetor Gaius Licinius Crassus as chief investigator. The consuls now finally left for their province, but Marcus Laenas refused to come back to Rome. The Marcii now tabled a second bill, which stipulated that if the former consul failed to show up in Rome before 13 August, the praetor would take a decision about him in his absence. This was too much for Laenas, who returned to the capital with his tail between his legs. He was severely harangued by the senators, who accused him of illegal warfare. The Senate now decreed that the praetors Gaius Licinius Crassus and Gnaeus Sicinius were to ensure that all Ligurians who had not been enemies of the Romans were given back their freedom. The consul Gaius Laenas was to grant them land north of the Po. Since the decree referred to all the events after the consulship of Fulvius and Manlius, which was in 179 BCE, it seems to have included many Ligurians that were not victims of Marcus Laenas’ unlawful actions. Laenas himself appeared twice before the praetor Crassus to account for his deeds. But his powerful brother and entreaties from his family managed to get him off the hook. The praetor succumbed to the pressure and decided to call up the accused for a third time on 15 March. After three hearings, a magistrate was obliged to give his verdict. However, 14 March was a praetor’s last day in office and as soon as it was 15 March, his imperium would automatically lapse. Because of this formality, Marcus Laenas avoided being sentenced. The former consul and censor Quintus Fulvius Flaccus committed suicide this year. According to Livius, his death was tragic (foeda mors). Flaccus had received awful news about his two sons who were serving with the army in Illyria. One of them had died, the other was suffering from a fatal illness. The next day, slaves found Flaccus’ body: he had hanged himself. It was widely rumoured that Juno Lacinia had caused his madness, angry about what Flaccus had done to her temple in Croton the previous year. Coin with the image of Masinissa or his son Micipsa (source: Classical Numismatic Group, Inc.). 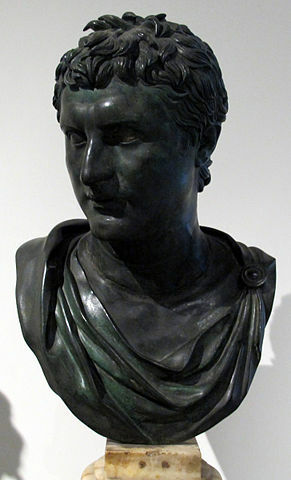 In 182/181 BCE, Rome had already mediated once in a dispute between King Masinissa of Numidia and Carthage. On that occasion, the Senate had basically abstained from taking a decision about land annexed illegally by the former. Now there had been similar incidents. Carthaginian envoys addressed the Senate and accused the king of having conquered more than 70 settlements in the last two years. The Carthaginians had not defended their territories, even though these were clearly part of their homeland. They felt bound by the treaty of 201 BCE, which stipulated that it was prohibited for them to wage war without Roman permission. King Masinissa was represented by his son Gulussa, who claimed that he could not answer the charges: he did not know why the Carthaginian envoys had travelled to Rome – it had initially been a secret mission, but the Numidians had found out about it – and Gulussa had been sent to Rome by his father to make sure that the Romans did not simply believe all the accusations levelled by the Carthaginians. Since his father’s position with regard to the conflict was not clear, Gulussa was sent home with a message to Masinissa to send new envoys to the Senate with a fresh mandate. At the same time, the Romans made it clear that they were not going to give free rein to the Numidian king: borders previously set had to be respected. 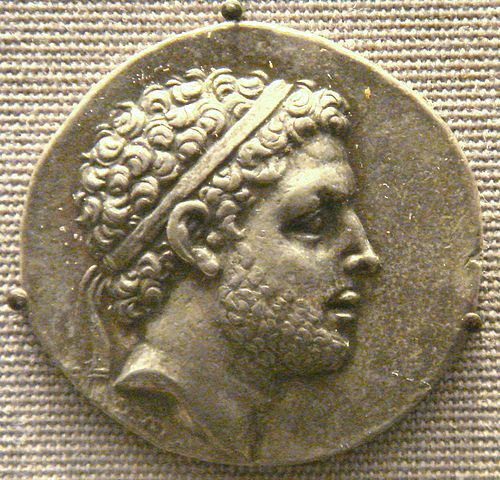 King Eumenes II of Pergamum (photo: Sailko, CC BY 3.0 license). King Eumenes of Pergamum arrived in Rome this year to exhort the Romans to take military action against King Perseus of Macedonia, who was his personal enemy. In a long and impressive speech to the Senate, Eumenes claimed that Perseus had amassed a large army and was a threat to all of Greece and to Rome as well. Envoys from Perseus tried to refute the accusations, but the senators basically ignored them. Eumenes then travelled to Delphi to make a sacrifice to Apollo. Taking a narrow mountain path up to the temple, the king was suddenly hit on the head and the shoulder by two big rocks. He fell down the ravine and his shocked entourage feared that he was dead. As it turned out, Eumenes was seriously injured, but still alive. He would be able to return to Pergamum later this year, after undergoing treatment on Aigina. However, rumours of his death quickly began to circulate. These reached Rome and the court at Pergamum. Eumenes’ brother Attalos already considered himself the new king and even asked for the hand of his sister-in-law Stratonike. Was it an accident at Delphi or an assassination attempt orchestrated by King Perseus? The Romans and Pergamenians certainly believed that the king was behind it and would use it against him. Furthermore, Gaius Valerius – perhaps the suffect consul of 176 BCE – returned from Greece this year, where he had kept an eye on Macedonian activities. He introduced one Lucius Rammius from Brundisium to the Senate, who often offered hospitality to Roman commanders and envoys before they crossed the Adriatic Sea to Greece. He also often welcomed foreign envoys travelling to Italy and therefore had contacts with the court of Macedonia as well. This Rammius now claimed that Perseus had asked him to poison Roman leaders and diplomats that were staying with him as guests. Coin of King Perseus of Macedonia (PHGCOM, British Museum). Whether there was any truth in this story is hard to tell. Perseus would later deny everything, but the senators were more than willing to believe it. They believed that, given all the examples of Macedonian aggression, a war against the Macedonian king was fully justified. The consuls of next year were given charge of the war, but since these had not yet been elected, the praetor Gnaeus Sicinius was assigned to start making preparations. Sicinius was ordered to levy soldiers, take them to Brundisium and then transport them to Apollonia in Epirus. There he was to wait for the arrival of a consul. His colleague Gaius Licinius Crassus was charged with assembling a fleet of 50 ships. Elections for the new consuls were held on 18 February of the next year according to the Roman calendar, which would have been November of this year according to ours (the Roman calendar of those days was a few months ahead). Publius Licinius Crassus, possibly the praetor’s older brother, and Gaius Cassius Longinus were duly elected, both plebeians. It was now winter, and the war season was still a few months away. In order not to waste any time, the Romans continued the preparations for the upcoming conflict, levied troops and sent more envoys to tour the Greek world to seek support against King Perseus and to warn against joining his cause. Some travelled to the Peloponnesos to address communities that were members of the Achaean League, others went to the Illyrians, the Epirotes, the Aetolians or the Thessalians. One of the most important envoys in the region was Quintus Marcius Philippus, the consul of 186 BCE. 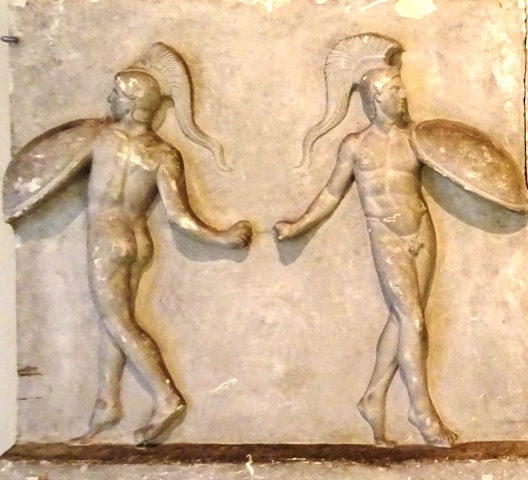 Probably in December, Philippus met with Perseus in Macedonia. The former consul made clever use of the personal friendship that had apparently existed between his own father and Perseus’ father Philippos V of Macedonia. Nothing is known about this relationship, but it certainly might explain how Quintus Marcius acquired the cognomen Philippus, the Roman equivalent of Philippos. Philippus convinced the king not to commence hostilities just yet, but to send one final diplomatic mission to Rome. It was a clear-cut case of Roman deceit, as the Romans had no intention whatsoever to defuse the conflict. On the contrary, they were fully geared for war and were merely trying to buy more time to build up their army and allow its new commander to sail to Greece. Next year, the Third Macedonian War would be on. Marcus Laenas’ ancestor Marcus Popilius Laenas was a four-time consul in the first half of the fourth century BCE. Another Marcus Popilius Laenas was consul in 316 BCE. After that, the family seems to have somewhat faded into obscurity.